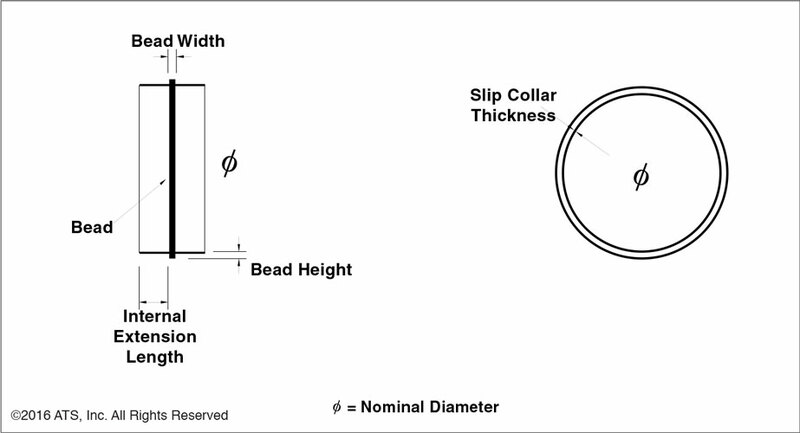 ATS Internal beaded slip collars are especially useful for tight spaces where H Collars do not serve well. They are a means to easily align two adjoining ATS FXP™ ducts. When properly installed with ATS ChemBond™ putty, a field joint is leak-proof. 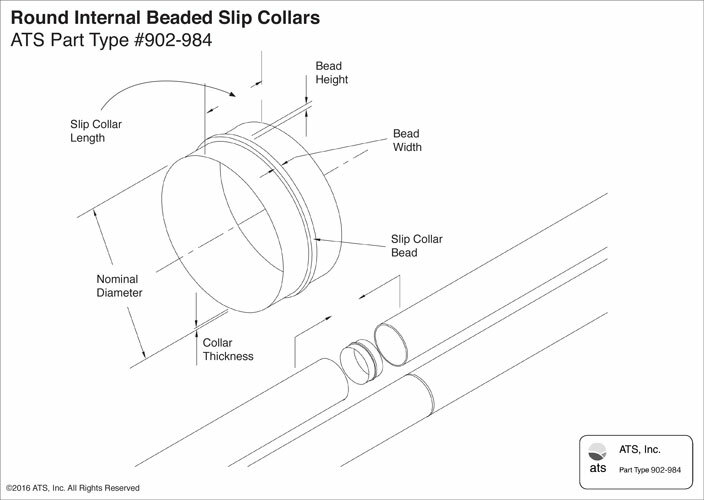 Slip collars provide a universal joint: cut the duct anywhere and the slip collar will align and chemically-protect adjoining sections.